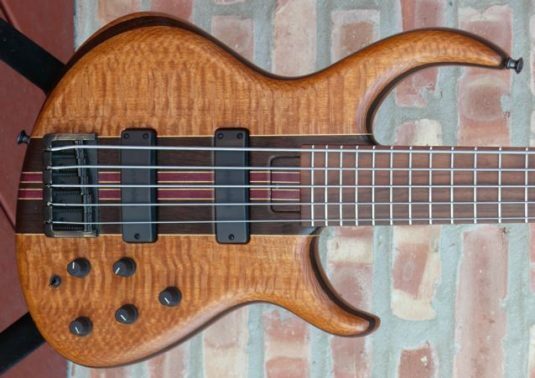 Here is a rare beauty in extraordinarily fine condition – an original Michael Tobias Signature 5, with a serial number in the 1800’s. 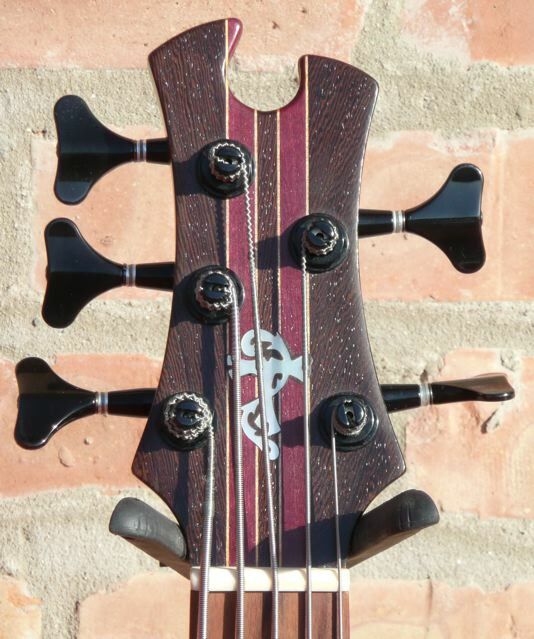 The top and back are a deep 3D Lacewood with a Wenge toneplate. 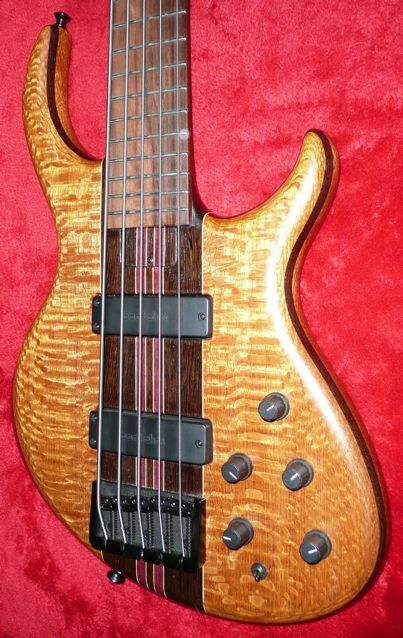 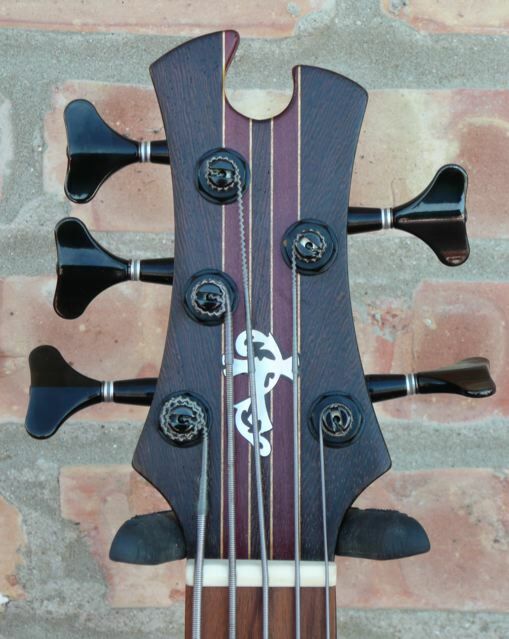 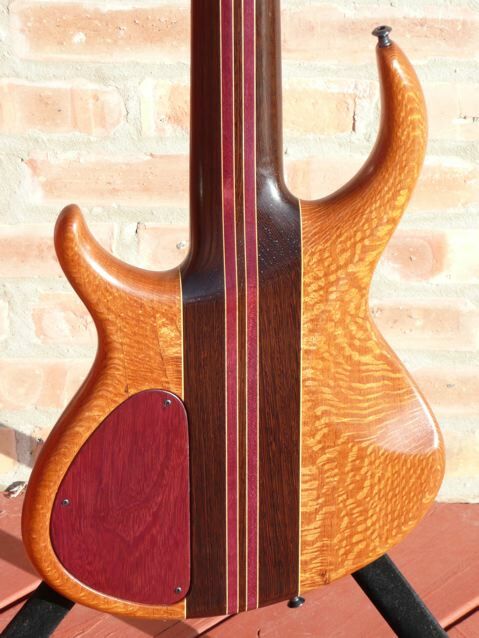 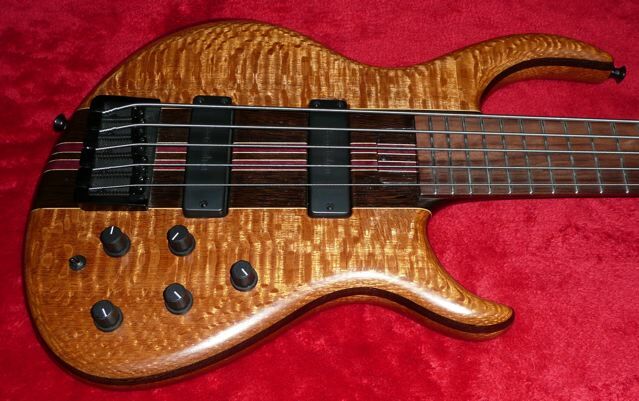 The 34″ scale neck neck is primarily Wenge with Purpleheart and Maple stringers. 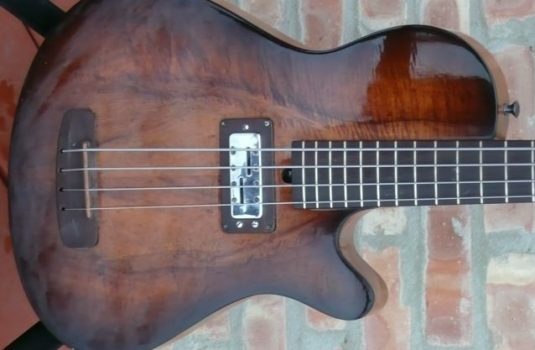 The fretboard, I believe, is Pau Ferro. 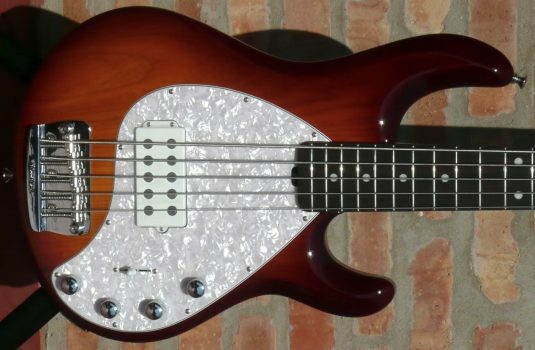 This bass is 100% all original , with very little sign of play time. 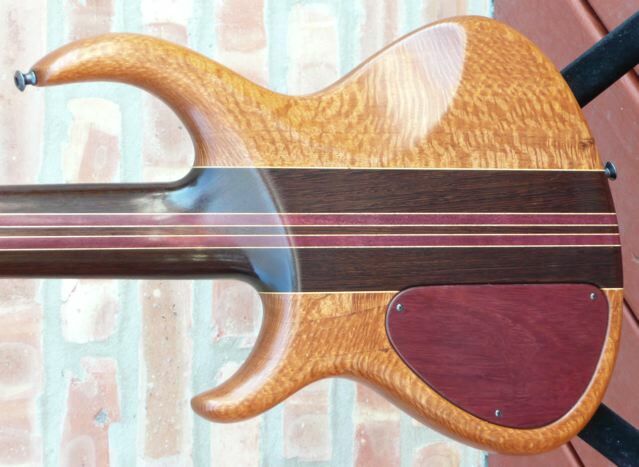 To complete the package , this bass is supplied with the original hardshell Tobias Guitars case. 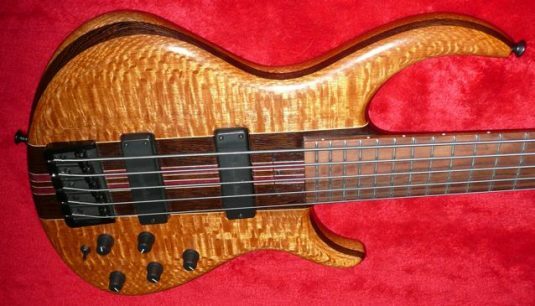 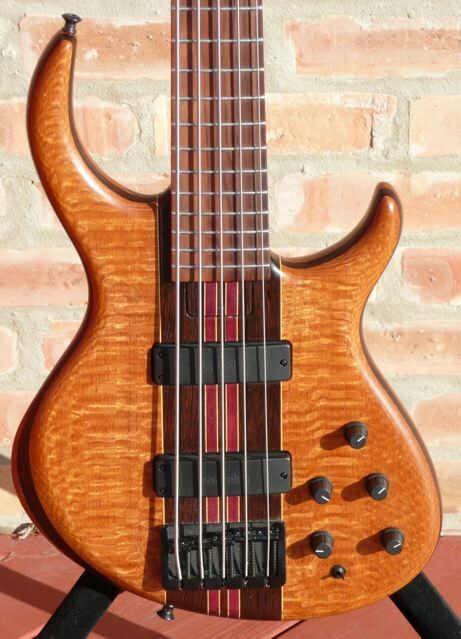 As hard and as long as you may look, you’ll likely not find a better example of Mr. Tobias’ top-of-the-line bass. 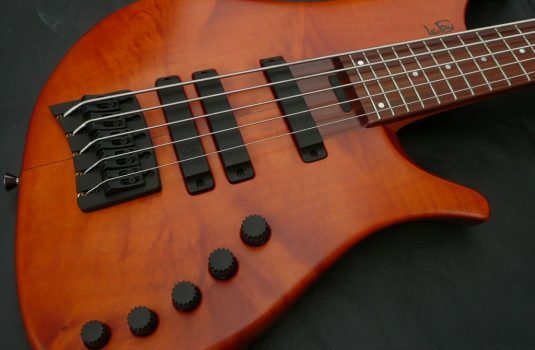 Oh yeah – it plays like butta and sounds tremendous , but you probably knew that.